As the UN reaches its 70th anniversary, the US has accused Russia of overusing its veto power and risking the legitimacy the Security Council. However, as prominent American linguist Noam Chomsky tells RT, the US has been “the veto champion” in the past, and has used its veto just as often. 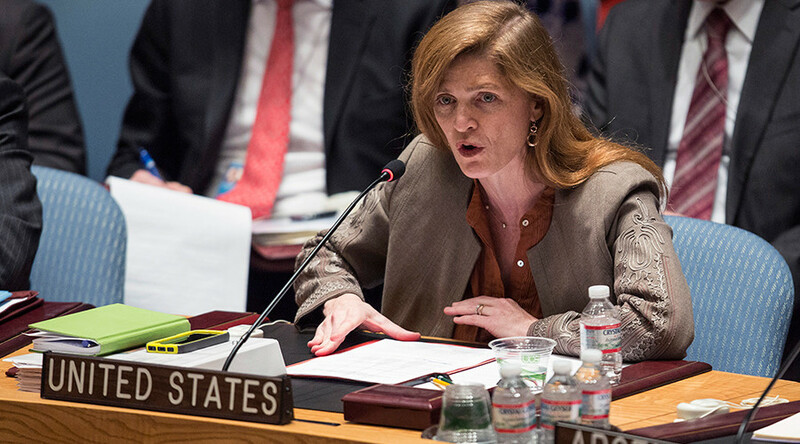 On September 23, Samantha Power, US Ambassador to the United Nations, claimed that Russia’s veto power in the Security Council was endangering the body’s legitimacy. Russia, along with China, has vetoed four Security Council resolutions on Syria. However, since 1991 when Russia took over the Soviet seat in the UN, it has not been Moscow taking the lead in exercising its veto power, but Washington – 13 versus 14 times. “In the last couples of years Russia has caught up to the United States. They are roughly equal in the number of vetoes they have cast. But that is quite a recent development,” Chomsky, MIT Professor emeritus of linguistics and a renowned activist and philosopher, told RT. RT:If we imagine there was no UN at all, what would the world look like? 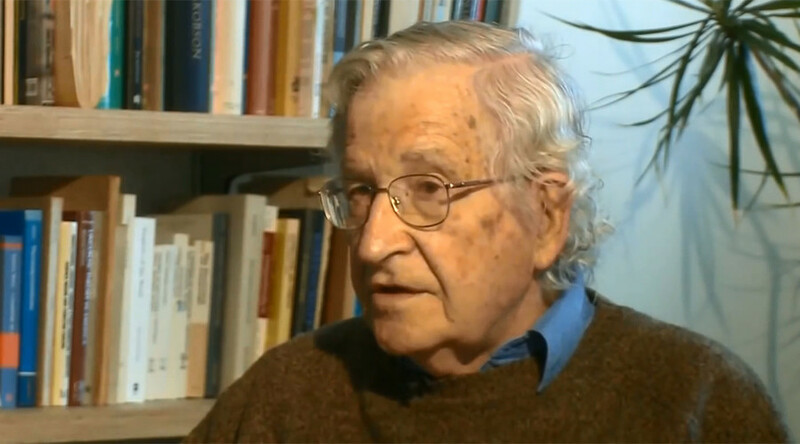 Noam Chomsky: It would be worse than it is now. The United Nations is not an independent actor in world affairs, but it can act only in so far as the great powers permit it to act, which means it’s very sharply constrained. But there are many cases in which the great powers are willing to delegate authority and degree of independence to the United Nations and it can carry out some useful activities. Humanitarian aid, for example, is mostly under UN auspices, and it’s critical for the survival of many people. Actually, there’s nowhere near enough of it, but what there is, is crucial for survival. And there are other peacekeeping activities and other things which are of mixed benefit, but of some significance. If that was all ended, it would be worse than it is now. RT:The Security Council is essentially the only instrument to solve international conflicts – what do you think about the calls to change the rules of the game there, such as stripping Russia of its veto power? NC: Why pick Russia? If since the 1960s, when the UN became somewhat more representative of world opinion with decolonization, the US is far in the lead in vetoing Security Council resolutions on all sorts of issues. Britain second. Russia well below. In the last couples of years, Russia has caught up to the United States. They are roughly equal in the number of vetoes they’ve cast, but that is quite a recent development. It’s been primarily the United States that’s been the veto champion for decades. RT:The world is a very different place from when the UN was established just after the World War – there has been no global conflict, but countless violent situations resulting in the loss of millions of lives. Is it time for a complete re-evaluation of how the UN operates? NC: Actually it is functioning better than it did at that time. Immediately after the Second World War the United States was in an overwhelmingly dominant position because of the effects of the war, and it was able to use the United Nations for some years – really, as an instrument of US power. It was often used as an instrument aimed against the Soviet Union. So, in the earlier years of the United Nations, you have a lot of Soviet vetoes. That began to change as the world began to change – and the UN began to change. Other industrial powers began to recover from the war. Decolonization began to take place. It’s a halting and difficult, brutal phenomenon, but it did expand the United Nations to become, to some extent, a voice of the great majority of the population – what we call the Global South. And by the 1960s these were significant forces. The non-aligned movement was beginning to play a role, UNCTAD, which was then a crucial part of the UN, was beginning to propose policies for a new international economic order which would attend to the needs of the oppressed and former colonized people. There were efforts to create what was called a new information order that would provide the Global South, the Third World, with some degree of participation in the international media information system. This was all beaten back very harshly by the United States and its Western allies – mainly the US. And the change was very striking. You could see it, as I mentioned, in just the use of the veto. The US did not use the veto until about 1970. Its first veto was in support of racist regime of Southern Rhodesia, which the UN was trying to sanction. The US vetoed it, and since that time and right up until practically the present, the US was way ahead in vetoing Security Council resolutions because the world was becoming more diverse. Now, in the last year or two, Russia has again begun to veto resolutions. China often joins. But, generally the UN functions today better than it did in the early days. Not well. It’s still in the hands of the five veto-wielding states, primarily the United States and now, to certain extent, Russia, and that should be changed and the Security Council should be broadened. It should include countries like Brazil, India and Japan, and other countries. And the role of General Assembly, which is more representative, should be increased. And the UN in general should be able to be more independent of the particular needs and demands of the great powers. That’s a hard road to follow. For example, China is strongly opposed to broadening the Security Council participation of the others as well.